Tuguegarao City, Cagayan- The Mines and Geosciences Bureau Region 02 (MGB R02) recently forged a Memorandum of Understanding (MOU) with three mining companies in the establishment of the Regional Information, Education and Communication Program (RIECP) and Regional Emergency Response Team (RERT). David Way of OceanaGold, MGB R02 RD Mario Ancheta, Craig Watkins of FCF Minerals and Jose Miranda of Geogen Corp. forge their signature in the Memorandum of Understanding of RIECP and RERT at MGB conference hall. MGB R02 Regional Director Engr. Mario A. Ancheta met with David Way, General Manager of OceanaGold Phils. Inc., Craig Watkins, Country Manager of FCF Minerals Corp. and Jose Miranda, Authorized Representative of Geogen Corp. for the organization of RIECP and RERT that will help the companies as well as the bureau in formalizing its commitment to widen its reach for information dissemination and in establishing clear guidelines in disaster response in the region. “This is an opportune time to finally sign our Memorandum of Agreement, this shows that we support each other,” Ancheta stressed. Engr. Rommel Amogan, OIC Chief of Mine Safety, Environment and Social Development Division (MSESDD) said that the RIECP aims to increase the awareness of people about mining and to influence the general notion of people regarding the impact of mining in the environment. The RIECP will be producing brochures, videos, and educational materials as well as acquiring radio spot/blocktimes, maintaining website and establishing mining conference booths that will promote the benefits of mining in the region. The IEC materials produced by the REICP will be integrated to the company’s IEC program. Further, the RIECP will build up a link with the Chamber of Mines of the Philippines, Philippine Mine Safety and Environment Association, Philippines Society of Mining Engineers and any other related organizations to help in making the vision of the program into reality. The conduct of research concerning mining in Region II, gathering of statistics as to the economic impacts of mining, percentage of employment and Gross Domestic Product (GDP) of Region II shall likewise be spearheaded to inform and to convince the people regarding the benefits of mining in the region. On the other hand, the RERT is established to properly respond to emergencies and disasters in Region 02 especially during earthquakes, fires, floods and other natural or human-induced disasters. Trainings, seminars and workshops will be conducted to enhance the knowledge and skills of the RERT about first aid and disaster response. “It is an appropriate time for the signing of MOU to formalize things to properly take action,” RD Ancheta said in his message. The Regional Director added that the MOU signing is a living proof that the mining industry in the Cagayan Valley region is ready to take the challenge and to move further. “It is gratifying to note that this MOU signing will help us in executing and in achieving our goals in the mining industry,” he stated. The MOU signing ceremony was attended by MGB R02 Division Chiefs, Section Chiefs rank and file employees as well as representatives of Geogen Corp., FCF Minerals and OceanaGold Philippines. To acquaint the members of the Provincial Mining Regulatory Board (PMRB) about the new regulations of the mining industry, the Mines and Geosciences Bureau Region 02 (MGB R02) conducted the 5th PMRB Summit last May 7, 2015 at MGB R02 Multi-Purpose Hall. The summit was conducted to inform the PMRB members about the recently issued revised Implementing Rules and Regulations (IRR) of Department of Environment and Natural Resources (DENR) under Department Administrative Order (DAO) 2015-03 which took effect on April 2, 2015. “You have been working with us since the beginning; thank you for being our partners. We truly appreciate your dedication to enforce stringent policies on environmental sustainability and protection,” Ancheta added. In this summit, Engr. Raymond D. Carreon, OIC Chief of Mine Management Division (MMD) and Ms. Maribeth G. Tumaliuan, Mining Claims Examiner discussed the DAO 2015-03 while Engr. Geoffrey V. Prado, Engineer III tackled updates in small-scale mining in the Cagayan Valley Region. On the other hand, Engr. Rommel L. Amogan, OIC Chief of Mine Safety, Environment and Social Development Division (MSESDD) talked about environmental protection, social development, safety and health in mining. Ancheta encouraged the PMRB members to work hand in hand in enforcing policies that can help promote development without the expense of environmental degradation. “We are living in a world where economic development and environmental sustainability must be symbiotic,” he uttered. The Regional Director added that there can be no real development without a sense of environmental protection. “Let us prepare ourselves to this challenge, let us be inspired to move forward for responsible mining is pro environment,” he said. The Summit was participated in by the members of PMRB Region 02 and MGB R02 employees. 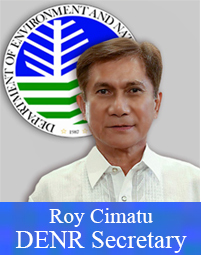 Tuguegarao City, Cagayan- Secretary Ramon J.P. Paje of the Department of Environment and Natural Resources (DENR) recently signed the Department Administrative Order (DAO) No. 2015-03 that provides for the revised Implementing Rules and Regulations (IRR) of Republic Act No. 7076, otherwise known as “People’s Small Scale Mining Act of 1991”, in an effort to stop indiscriminate small scale mining operations in the country and can evade to deprive the government of revenues from small scale mining operations. The DAO 2015- 03 is in line with the mining policy of Aquino Administration that features mining policy reforms that ensures to enforce stringent policies on environmental protection as contained in Executive Order No. 79. In the revised IRR, contracts for small-scale mining operations shall now be issued by the Provincial/City Mining Regulatory Board instead of the Provincial Governor or City Mayor that often lacks the technical expertise to understand their operations. The declaration of Minahang Bayan would be reviewed by the Provincial/City Mining Regulatory Board that would be submitted to the office of the DENR Secretary for clearance. Further, DAO No. 2015-03 limited the extraction of small scale mining of metallic materials to just three minerals namely: gold, silver and chromite. Among the other salient features of DAO No. 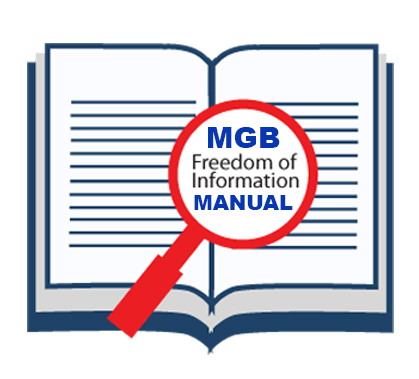 2015-03 is the complete banning of the use of mercury in any phase of mineral processing. The use of hydraulicking, and compressor mining methods shall as well be prohibited. The revised IRR also provides for centralized custom mill within the confined designated mineral processing zone inside a Minahang Bayan. These Minahang Bayan sites will be limited to a maximum period of six years, including its renewal. Moreover, the revised IRR also limited the qualified applicants of a Small-Scale Mining Contract to a cooperative or group of small scale miners. Thus, Small scale miners can organize themselves into a group or cooperatives and apply for the establishment of Minahang Bayan sites in their locality. Likewise, the DAO 2015- 03 allows the establishment of Minahang Bayan in areas covered by large-scale mining applications that have been denied but with pending appeals, provided that royalties shall be paid in escrow, while awaiting for the final resolution of the said appeals. It further requires the Small-Scale Mining Contractors to pay a Government Share in the amount to be set by the Board, on top of the payment of the usual taxes and it mandates to require mineral processors to secure Mineral Processing Licenses from the Board. DAO No. 2015- 03 aims to transform the small scale mining operations in the country to be a more responsible sector in the mining industry that can contribute to the improvement of the country. DAO No. 2015- 03 took effect on April 2, 2015. In an effort to inform the constituents of Barangay Didipio regarding the underground operation of OceanaGold Philippines Inc., the Mines and Geosciences Bureau Region 02 (MGB R02) conducted Information, Education and Communication (IEC) campaign held on January 24, 2015 at Didipio Multi Purpose Hall at Brgy. Didipio, Kasibu, Nueva Vizcaya. The IEC campaign was in response to the request of the constituents of Brgy, Didipio to conduct an IEC drive on their barangay through a Barangay General Assembly Meeting. According to Alfredo Pugong Jr., Brgy. Captain of Didipio, there is an on-going petition against the underground operation of OceanaGold spearheaded by Didipio Earth Savers Multi-Purpose Association (DESAMA), an anti-mining group in Nueva Vizcaya and linked with Annvik, a Non- Government Organization (NGO). The petitioners believed that once the underground operation starts, the OceanaGold can build tunnels at any direction to extract minerals extending to adjacent barangays of Nueva Vizcaya. This raised an alarm to the public regarding the mining operations of OceanaGold in Nueva Vizcaya that allegedly would cause safety and environmental problems in the province. Prior to the Barangay Assembly Meeting, Engr. Geoffrey Prado, Engineer III, Engr. Antonio Chumacog, Engineer III and Mr. Demetrio Corsino, Community Affairs Officer II (CAO) conducted dialogue with the concerned OGPI personnel on January 23, 2015 to discuss the actual presentation of their underground development plan. During the barangay assembly meeting, Engr. Anabelle Punzalan of OceanaGold presented the scope of Financial or Technical Assistance Agreement (FTAA) and the PDMF area geology and mineralization, she also discussed the optimized mine design and site overview of the underground tunnel. Engr. Punzalan also discussed the limit operations as to the distance of boulevard from open pit and distance of boulevard from underground operation. She also talked about the ramps and mining methods and underground mine plan decline to enlighten further the constituents regarding their underground operation. On the other hand, Engr. Prado explained that the underground plan presented to the constituents is the same plan submitted and approved by the MGB office. He elaborated that the underground plan is only under the open pit and does not extend at any direction of Didipio or adjacent barangays. Further, he said that they have to do the underground mining to extract the minerals down below the open pit. Prado added that it will not be realistic to do it all with open pit for it would incur a lot of waste materials and would no longer be economical. Permits for the underground operation were already issued by the MGB and Environment Management Bureau (EMB). Tuguegarao City, Cagayan- The Mines and Geosciences Bureau (MGB) in preparing its 2016 budget proposal conducted a budgeting workshop held last April 7-11, 2015. MGB R02 Regional Director Mario Ancheta, OIC Chief of Finance and Administrative Division (FAD) Erlinda Catabay, Budget Officer Remigia Manuel and Planning Officer Imee Gatan- Agaloos attended the budgeting workshop at Brentwood Suites, Quezon City. The budgeting workshop tackled the new budgeting scheme that the agency will adopt in 2016. MGB will adopt the two-tier budget approach (2TBA) prescribed by the Department of Budget and Management (DBM) under National Budget Memorandum 123. 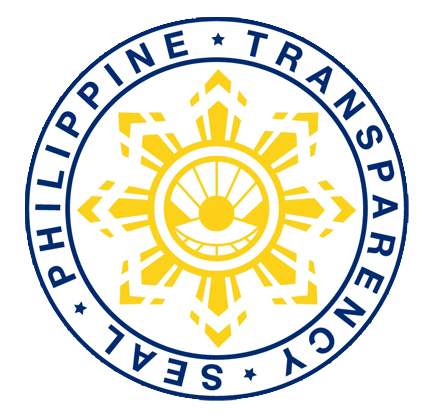 The 2TBA is designed to hasten transparency and accountability of various departments and bureaus of the government. This approach will streamline the budget process where discussions and deliberations among existing projects and programs, its expansion and newly proposed programs and projects are conducted separately. According to MGB Central Office the tier one of 2TBA is focused on the cost of ongoing programs and projects of the MGB. 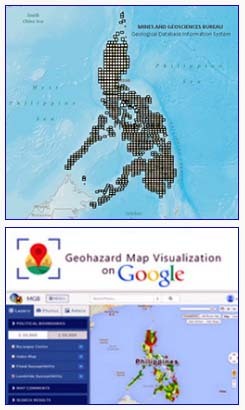 Among these projects and programs are: conduct of Vulnerability and Risk Assessment, Subsurface Assessment; intensive information campaign and distribution of the 1:10,000 scale Geohazard Maps under the Geohazards Assessment Program; monitoring of mining operations; programs that address illegal mining and small-scale mining; and the declaration of Mineral Reservation (MinRes) areas. MGB CO further emphasized that the tier two of TBA is focused on the new programs, spending measures and proposals of the Bureau. Also under tier two are the expansion of ongoing and existing projects and other new programs/projects that may be specific in a certain region. Agaloos said that the first day of the workshop was conducted by cluster where the Finance and Budget group tackled the unified accounts code, and forward estimates, while the planning group discussed the Performance Informed Budget and Reporting. “The Administrative group discussed about the staffing per region and the filling up of vacant positions as approved under the rationalization plan of the Bureau,” the Planning Officer exhorted. On the succeeding days of the workshop it tackled budget proposal on various programs and projects of the agency. Review and finalization of budget proposals were likewise conducted. The workshop was graced by MGB Director Leo L. Jasareno and Assistant Director Elmer B. Billedo.